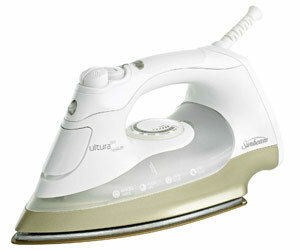 Steam irons are the most popular irons on the market today. Steam opens a fabric's weave (the way the fabric is woven together), so deep creases can be ironed out easily. Generally speaking, more steam means quicker, easier ironing. 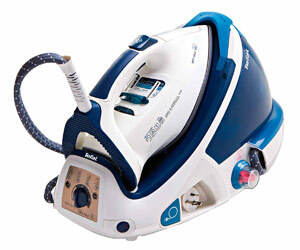 With most steam irons, the steam output can be adjusted for different fabrics. Is A Steam Generator Iron The Same? Steam generator irons are basically "hotted up" steam irons that come attached to a separate steam generator, which supplies the pressurized steam. This docking station has a water reservoir that the iron sits on and is connected to via a water tube. The higher steam pressure of a steam generator iron means that both sides of clothing are ironed at the same time, saving you time and effort. And since the steam is produced by a separate generator, the iron itself is lighter and easier to use than normal steam irons. On the other hand, steam generator ironing systems as a whole are a little bigger, so they need more room on the ironing board and for storage. Vertical steam: A clothes steamer uses steam to remove wrinkles and creases from hanging garments, like suits and dresses, made from delicate fabrics. Variable steam: Constantly and automatically adjusts steam output to the ideal level for particular fabrics. Burst of steam: Provides a surge of steam on demand, for smoothing out difficult wrinkles or creating sharp creases on trousers. Look for about 100 grams per minute in a steam iron. Continuous steam output: Makes removing creases quick and easy. Look for around 40g/min for a conventional steam, and about 100g/min on a steam generator. Aluminium: Mainly found on entry-level irons. May become "sticky" over time, which can cause wrinkles on clothes as you iron. Coated non-stick: Rarely becomes sticky because it glides over clothes, avoiding any pulls or wrinkles as you're ironing. Stainless steel: Moves over fabrics smoothly and spreads heat across the plate evenly. Take care as stainless steel sole plates may scratch over zippers, buttons, etc. Ceramic: A good alternative to stainless steel as it has a hard-wearing, non-stick surface and spreads heat well. Polished stainless steel and non-stick, coated soleplates tend to be the smoothest. To reduce friction even more, soleplates may feature a pattern of "dimples". The larger your iron's water tank, the less time you'll spend re-filling it and waiting for steam to produce; the steam flow will be more constant, too. A transparent tank, or water level indicator, makes monitoring the water level easy. Steam generators have larger water reservoirs than conventional irons. Look for a water capacity of approximately 300ml on a regular steam iron and 1.5L for a steam generator iron. How Much "Power" Does Your Iron Have? Your iron's performance – how efficiently it produces and manages heat – is related to its electrical power, which is expressed in watts (W). Generally, the higher the wattage, the greater the heat generated. 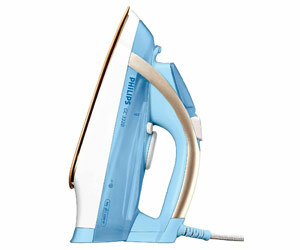 For regular domestic ironing tasks, look for an iron with around 2000W. Thanks to their weight, heavier irons have better pressing ability but can be tiring to use. On the other hand, lighter irons are easier to handle and glide more smoothly, but may need more repetitions to iron out wrinkles. An iron with a longer cord gives you more flexibility to move around the ironing board. Also, if the cord has a pivoting base, that'll avoid any problems with it tangling. A cord attached to the centre of the iron is easy to use whether you're left- or right-handed. The anti-drip feature stops water droplets from staining fabrics when you are ironing, and prevents "spitting" when the iron is using the steam boost function. In addition, anti-drip stops water leakage when the iron is stored away after use. Look for an iron that has the automatic shut-off feature. If the iron is left unused in an upright position, it switches itself off in a matter of minutes. If it's left lying horizontally or tips over, in seconds the iron automatically turns itself off. Variable heat/fabric settings: Safely iron various materials – ranging from cotton to silk – with the right amount of heat. Aluminium core in soleplate: Spreads heat quickly and evenly. Misting spray: Dampens deep wrinkles for easier ironing. Second row of steam holes: Wider steam distribution. What Is Limescale And How Do I Get Rid Of It? Limescale is the hard, chalky substance that's produced in certain appliances – like irons, as well as kettles and washing machines – that regularly contain hot water. Over time, limescale can build up inside your iron, blocking steam outlets and reducing the iron's ability to generate heat properly. Consider buying an iron that has a built-in anti-limescale system — it's like a water filter — which pre-treats the water. If you buy a budget-priced iron without this feature, you'll need to apply anti-scale products.